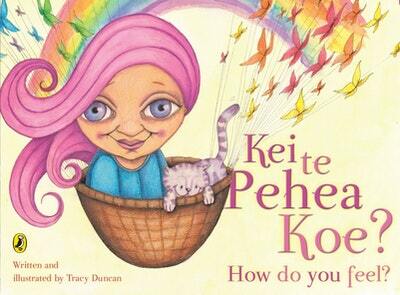 A beautiful illustrated bilingual picture book of phrases to help children say how they feel in Maori and English! A gorgeously illustrated book to help readers to describe how they feel in Maori and English. Love Kei Te Pehea Koe?? Subscribe to Read More to find out about similar books.